Changes to benefits "disproportionately affected" disabled people, the UN Committee on the Rights of Disabled Persons (CRPD) found. The UK was the first to be investigated under a UN convention it has been signed up to since 2007. But the government said it "strongly refuted" the committee's findings and its "offensive" view of disability. 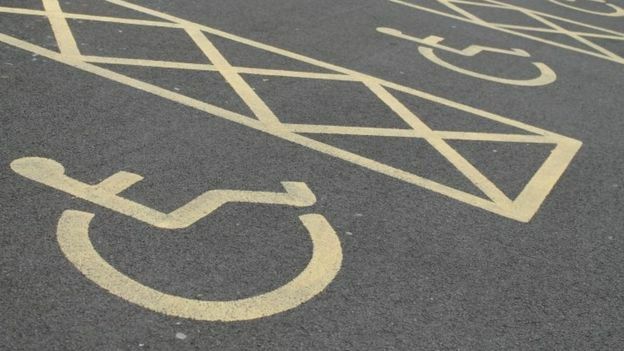 The committee launched an investigation in 2012 after receiving evidence from disability organisations about an "alleged adverse impact" of government reforms on disabled people. Two UN committee members visited London, Manchester, Birmingham, Cardiff, Edinburgh and Belfast in October 2015 to identify any gaps in human rights protection for disabled people. As part of its inquiry, the CRPD also looked at a range of recent welfare reforms and legislation including the Welfare Reform Act 2012, Care Act 2014, and Welfare Reform and Work Act 2016. The inquiry concluded that changes to housing benefits and criteria for parts of the Personal Independence Payment, along with a narrowing of social care criteria and the closure of the Independent Living Fund, all "hindered disabled people's right to live independently and be included in the community". Disabled people were regularly portrayed negatively as "dependent or making a living out of benefits, committing fraud as benefit claimants, being lazy or putting a burden on taxpayers"
Sanctions for some Employment and Support Allowance claimants "increased significantly" from 2012-2014 and had been "disproportionately applied"
Assessments did not take into account the "support persons with disabilities need to perform a job or the complex nature of some impairments and conditions"
Some work schemes "had no visible impact in decreasing unemployment" among disabled people, and some who accessed other programmes experienced reductions in support or "loss of employment"
The inquiry also said welfare assessors displayed a "lack of awareness and limited knowledge of disability rights and specific needs", and disabled people experienced "anxiety and psychological strain" due to uncertainty about assessment results. "The committee observes that measures have caused financial hardship to persons with disabilities resulting in... arrears, debts, evictions and cuts to essentials such as housing and food," the report said. The committee made 11 recommendations to the UK government, including calling for a complete impact assessment of reforms introduced since 2010, and introducing measures to fight "negative and discriminatory stereotypes". However, Work and Pensions Secretary Damian Green rejected the report's findings and said the document demonstrated "an outdated view of disability which is patronising and offensive". "The UN measures success as the amount of money poured into the system, rather than the work and health outcomes for disabled people," he said. "The UK is a recognised world leader in disabled rights and equality. Not only do we spend about £50bn a year to support sick and disabled people, but we also offer a wide range of tailored and effective support, which this report fails to recognise." He added: "Our work and health Green Paper marks a turning point in our action to confront the attitudes, prejudices and misunderstandings within the minds of employers and across wider society." Shadow work and pensions secretary Debbie Abrahams said: "The UN report confirms that, despite Theresa May's warm words, this government is failing sick and disabled people."